Our box lunches are perfect for that short notice get-together or that office meeting that you know will run over time. 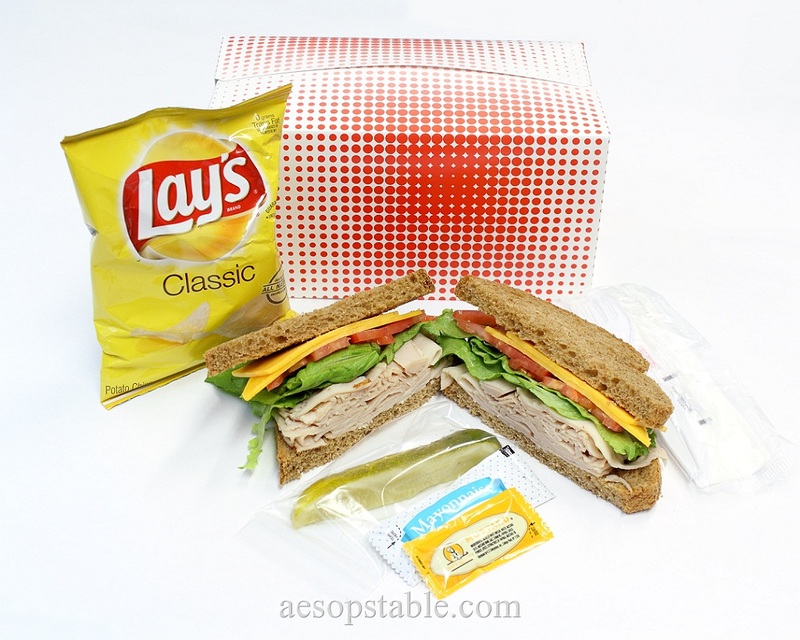 All box lunches include choice of meat and cheese and come with chips and a pickle. Sandwich, chips and a pickle. Sandwich, fruit, salad, cookie or brownie, chips and a pickle. Sandwich, fruit, salad, cookie or brownie, chips, pickle and a beverage. * Some fruit options are seasonal. Please keep all salad and fruit selections to one per group order. Mulitple selections can be arranged for an additional $0.50 per item per order.